Boston Police Commissioner sat down with necn's Latoyia Edwards Wednesday evening to discuss the state of the Boston Police Department. On the topic of body cameras, Evans said he understood the value, but he shot down the notion that officers in the city were in dire need of change due to police injustice. "I just don't like the dialogue that everyone thinks we're the bad guys," Evans said. "I don't think in Boston, we've done anything wrong to deserve sort of 'every cop's got to have this,' like we're all bad." While he said he was not against body cameras, Evans stood behind his department's work, saying that a pilot program would allow officials to weigh the pros and cons of body cameras. "Judge us on our own merits," Evans said. "That's all I ask." William Evans repeatedly called marijuana dangerous, saying that he didn't want more drivers to be under the influence of a drug. 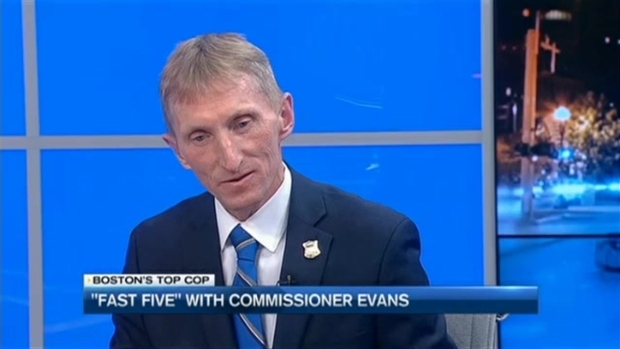 Evans' stance on marijuana is less complex, despite growing support from the public. "That whole idea of generating money. That's a joke. If that's the way we have to raise money for the state, it's real sad," Evans said. "Give me a break. 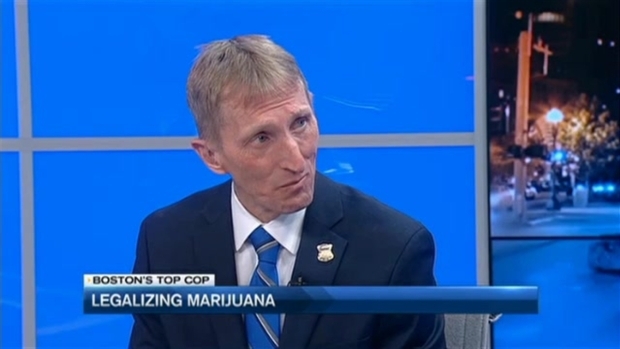 I don't want people driving around in their vehicles under the influence of marijuana." 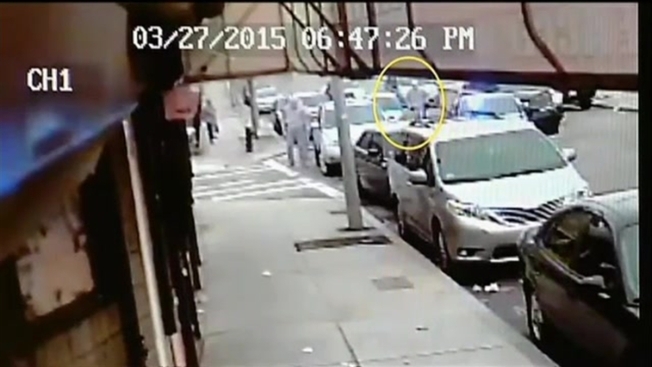 The commissioner repeatedly called marijuana dangerous. "You sort of send a message that drug use is more and more being accepted," Evans said. "That's the last thing we should be talking about." As for the decision by a panel of judges to reverse a ruling and reinstate the NFL's four-game suspension of Tom Brady, the police commissioner had three words of advice for NFL Commissioner Roger Goodell. "Leave Tom alone," Evans said.